Arsenal came into this game after facing a heavy defeat against Rennes at Roazhon park, whereas Manchester United registered a historic comeback against PSG just three days ago. Man Utd were the clear favorites for the win last night, but Arsenal turned the tables. Emery's tactical changes and unpredictable line ups once again did the job for the Gunnars, not to take away anything from the players. Ole Gunnar Solskjaer's incredible away winning streak came to an end at the hands of Unai Emery last night, as the home side registered a decent win at home, adding a much needed clean sheet to their record as well. 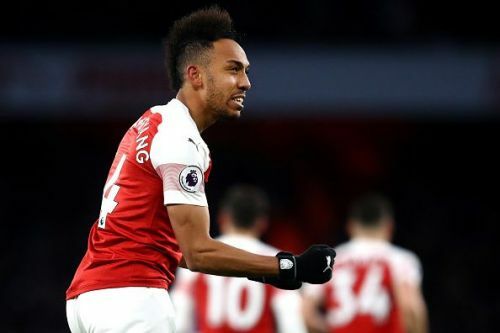 On the other hand, Arsenal have added one more win to their impressive 8-game home winning streak this season, and they look much prepared to beat Rennes in the second leg as well. Though Manchester United had enough chances to hit the back of the net, they failed to convert any and Arsenal were a lot more composed and constructive than the away side. £18 million looks like an absolute bargain! It certainly wasn't one-way traffic at the Emirates, as Manchester United created a lot of chances but their forwards had a difficult night converting the chances into goals - thanks to Bernd Leno. The German, yet again, rescues Arsenal from Man Utd's dangerous forwards as he made a total of 8 saves in the game, nearly 3 times the amount of saves De Gea made last night. 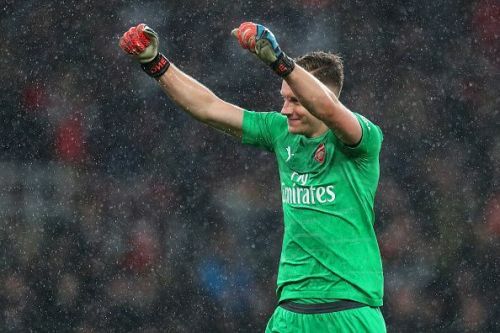 He was robust between the sticks and though Arsenal's defense was pretty composed throughout the match, they were caught sleeping at times but luckily, either Leno or the bar came in between. According to me, Leno deserves a 9/10 for that performance. Not only was he good with his reflexes, but he distributed the ball much comfortably than his last few games. Unai Emery's side likes to play possession-based football and therefore, the goalkeeper needs to be exceptional with his feet and he really did a very good job.